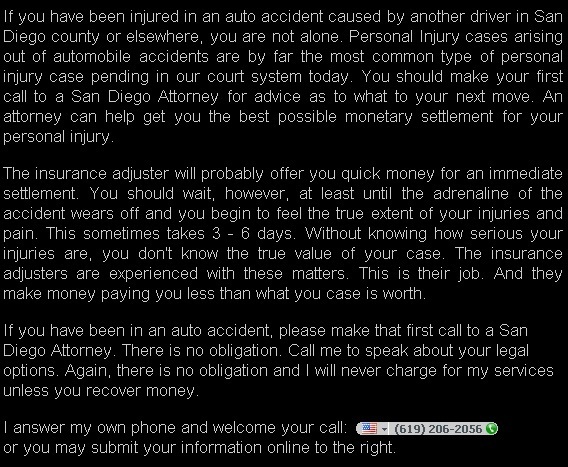 San Diego law firm for legal assistance with accident and injury claims. Representing clients with California lawsuits in San Diego Superior Court. Legal expertise for clients in Chula Vista, Escondido, Oceanside, El Cajon and all of San Diego County. California lawyer. Se habla Espanol.